Recently, with the release of the Netflix series Sunderland ‘Til I Die, a fly-on-the-wall documentary following in the footsteps of Amazon’s Manchester City’s All or Nothing, many of us questioned if these kinds of productions are even worth watching or is just positive PR for the subject. Both of these documentaries follow the clubs’ varying seasons, and their executions are vastly different. From sheer production value, City’s is visually more appealing with many bright shots of the dressing room, green pitches and even the training facilities reinforcing a bright image of the club. This with the use of narrator Sir Ben Kingsley gives the documentary remarkably high production value, up there with some of the best documentaries available. 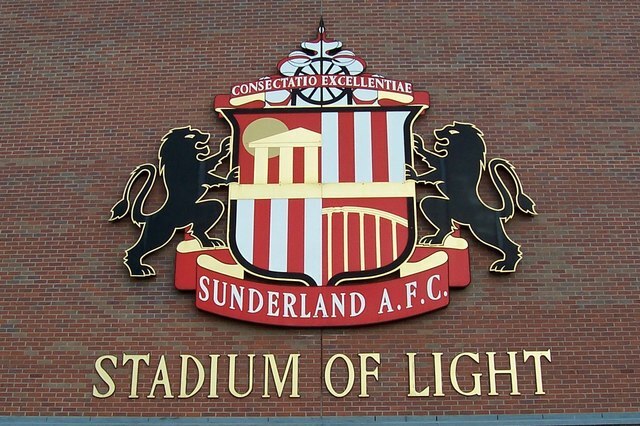 Contrastingly, in Sunderland’s documentary there’s no narrator and many dark and gloomy shots. These negative shots with dull colours foreshadow the events of the series. Also, the perspective of both of these documentaries is vastly different as City’s is very much about the club and the personalities within it whilst the Sunderland documentary focus is on the whole city of Sunderland. The in-house interviews and team talks in All or Nothing shows you what City want you to see with little to distinguish between interviewees. Meanwhile, Sunderland is viewing it more from the fan’s perspective and the club’s relationship with the city of Sunderland. Brutally honest reactions from fans postgame and reactions during the week show us the effect of Sunderland on the whole city. In Manchester City’s documentary you get a clean-cut silky-smooth vision of this season with the narrator guiding you along and you get the feeling it’s what the club want you to see. Sunderland’s is the polar opposite, detailing the cruelties of the game in many hard-hitting interviews with fans and players alike. From Johnny Williams’ injury-plagued year, to the much-publicised drink driving of ex-Ireland midfield Darron Gibson and even the case of Jack Rodwell and his exuberant wages for no game time, this Sunderland documentary pulls no punches and explores the reality of football. The atmosphere is also vastly different, which isn’t the documentaries’ fault, with Manchester City fighting for the title and Sunderland battling relegation. This makes the Sunderland documentary more interesting as they are struggling to stay up and the responses are brutally honest about what they really think of the team, much more so than the Manchester City documentary, where they have no real problems. However, if you are looking for a documentary that will show you everything about the club, you will be disappointed, but the Sunderland documentary does tell a better story and leaves you wanting more. The new trend of football documentaries starting with another Netflix production First Team: Juventus does show that teams are now willing to show fans a peek behind the curtain, but the question remains, do they show you the full story? The bigger the club, the more influence they have over the documentary, the story that they tell, and how honest the people at the club are. A great example of the honesty of the players in the Sunderland documentary is former Irish international Aiden McGredy’s critical appraisal of their season and playing staff, whilst there is no interview comparable in Manchester City’s documentary. While this may be down to the success that City had last season, there is a surprising lack of negativity towards the club. Saying this, both docuseries were entertaining in their own way, and any football fan would thoroughly enjoy them. Both allow us to see a personality instead of just a face which we are used to seeing on TV. One of the best aspects of these docuseries is the interactions between the players, especially with the Manchester City documentary that shows us the players are not just teammates but friends. A great aspect of the Sunderland documentary is the time they spend with the fans, especially during the matches, and the passion that they display shows us that their passion last 24/7/365 instead of just 90 minutes on a Saturday. These give the documentaries a focus and characters which even people who wouldn’t be fans of sports would grow attached to and enjoy them for their story and unrequited passion.